Where to see them: The BTR boys are taking over the radio waves and your TV with their hit Nickelodeon show, Big Time Rush! Why we love them: They rocked out last night at the J-14's InTune Concert at the Hard Rock CafÃ© and stole our hearts at the same time! (Make sure to watch their 14-second InTune diary!) These four guys are not only talented singers and dancers, but they are equally as sweet and funny. Their debut album B.T.R. comes out October 11! Logan talks about… what he wants in a girl: "I don't have a set dream girl as far as what she looks like," he says. "But I know what I like, and I love a girl with a sense of humor. Someone who can make me laugh and that I can get along with and talk with and who is just sweet overall, inside and out. So I think that's some of the qualities I look for in a girl." 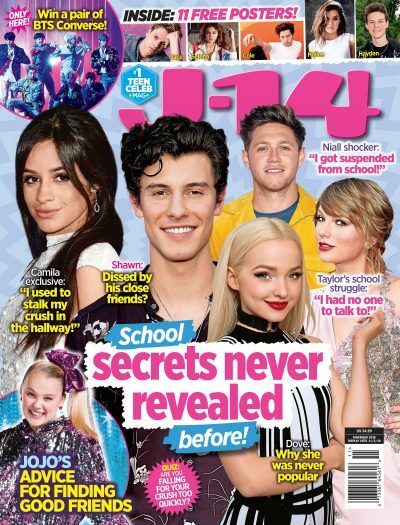 Now we want to hear from YOU, J-14ers! Do you think Big Time Rush is HOT or NOT? Let us know in the comments below!